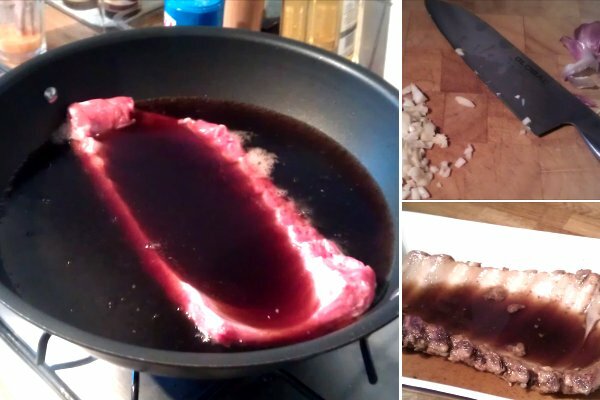 This is simple way of cooking ribs, that requires very few ingredients, but a loooong cooking time. They'd probably be great finished on the barbecue, now the weather's getting better... except that I don't have a barbecue. Or a garden. 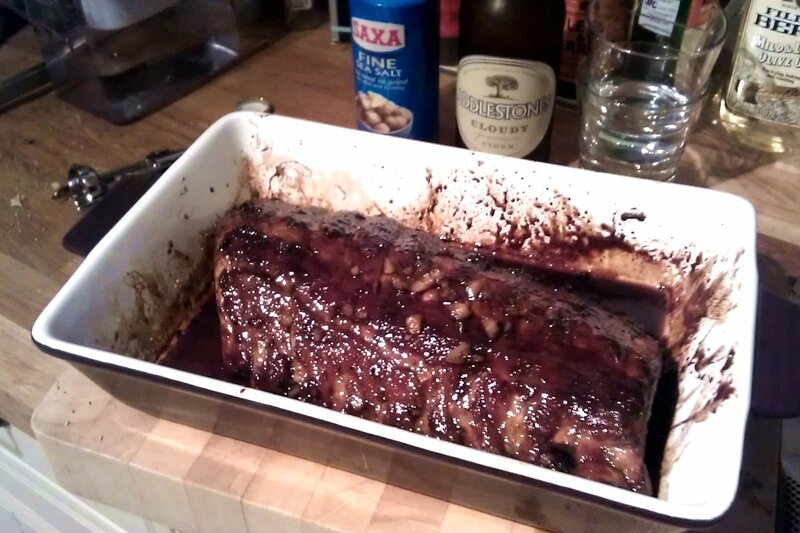 Put a large rack of ribs in an even larger pan, then add a large bottle of coke, several (large) crushed cloves of garlic, and a few really large dashes of Worcester sauce. Simmer gently for at least half an hour. It will start to smell really revolting at this stage, but don't worry... things will improve. 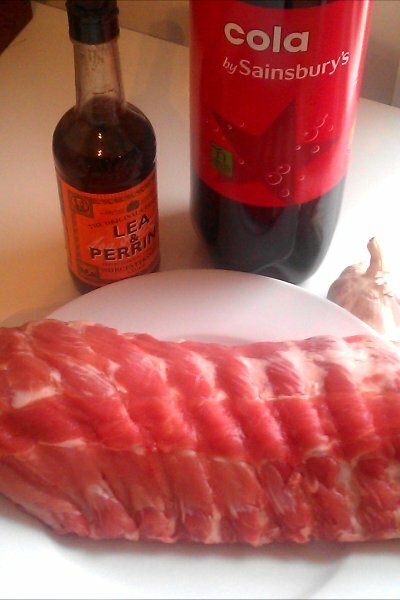 Transfer the ribs to an oven dish, along with some of the liquid. Make sure that there's enough liquid in there to keep the meat moist, then cover with foil and cook on a low heat for two hours. Basting it occasionally will really help. Meanwhile, reduce the rest of the liquid in a pan until it is syrupy. When the two hours is up, uncover the meat, turn the oven up to 180, and spoon the thickened liquid over the meat. 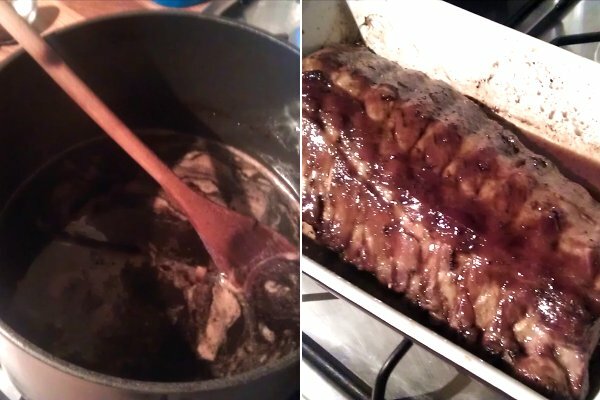 Cook for a further half hour, and continue to baste it regularly with the thick syrupy goo which gathers at the bottom of the dish. Sprinkle with salt, and they're ready to serve! The ribs should be nice and tender, and extremely sticky. Great with a bottle of cider and a jacket potato.